The following is a guest post about setting & achieving goals from regular contributor, Morgan from Morganize with Me. As 2016 rapidly winds down, I love looking back and realizing the goals that I’ve been able to accomplish. A few years ago, I decided to take a more intentional approach with my goal setting, and it has been a complete game changer. I’ve experienced first hand, through my successes and failures, that goal setting can really help you to better live out your dreams. Some of the goals (dreams) that I’ve achieved, over the past few years, have been; learning how to knit, running a marathon, reading 137 books, and even submitting a book proposal. It’s pretty amazing what you can actually accomplish, when you commit to organizing your goals. Often we have dreams that simply remain just that, dreams. Which is why I want to provide you with some encouragement today. You can accomplish what you want to this coming month, season, and/or year. Yes you can! Do you want to manage your time better? Spend more quality time with friends? Take a class? Volunteer more? Exercise daily? Learn a new hobby? What are your dreams? When you decide to take action, starting with a plan, you set the ball in motion. Having a plan helps to give you intention and direction. 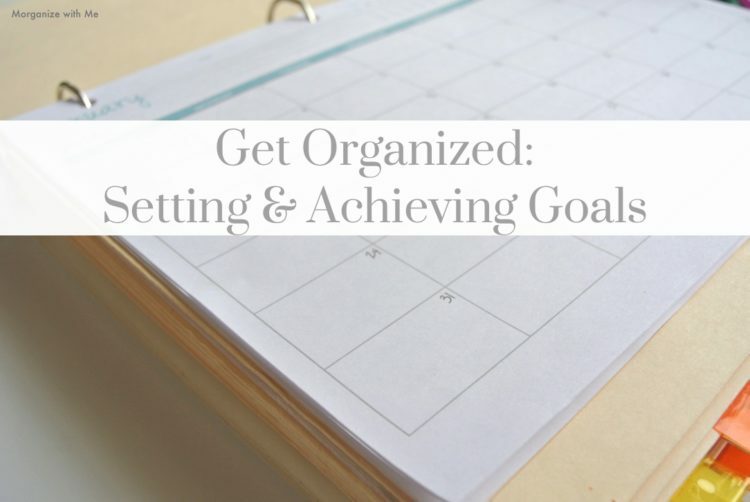 Then organizing your goals, provides you with a detailed road map to follow. What matters most, is that you consider your personality and your dreams. And then work to follow these three simple guidelines. Realistic – carefully consider your current season: ability and availability. Accountable – announce your goals, ask for support, and share your progress. Flexible – change, revise, and update your goals and/or methods, as necessary. I hope that you can look ahead and take an even more determined approach with your goal setting. You can do anything that you set your mind to, and I hope that you do! Remember to be realistic, find ways to be held accountable, and remain flexible. Before I go, and get back to wrapping presents, I wanted to mention that I have some printables in the MWM shop, that are designed specifically to help you with setting & achieving goals. The new Goal Challenge (Ready, Set, Goal!) packet has just been released. 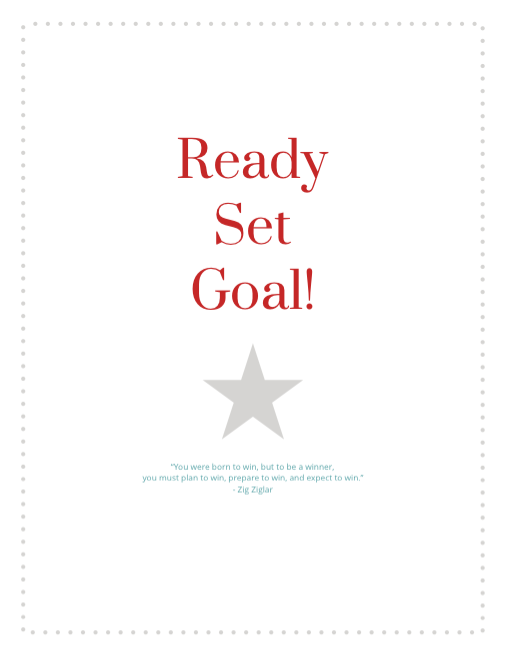 It is a printable packet full of guidance to help you set and achieve your goals. And the even better news? Organizing Junkie readers receive a 50% discount. Use the discount code: HalfOff (case-sensitive) at the checkout. My hope is that this is your best year yet. 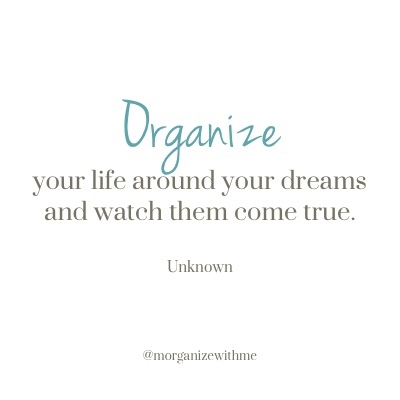 Happy Organizing and Goal Setting! Morgan is the energetic and motivated, but also realistic girl, behind Morganize with Me. She is a list lover, fitness fan, and chaos controller! Her mission is to share tried and true techniques that she hopes will encourage her readers and clients as they focus on their health and homes. 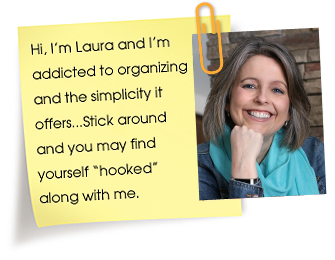 Join one of her Challenges and be sure to check out her Shop full of fabulous organizing printables! Mindset and taking action- I agree- are key to setting and achieving goals. I use a cork board and have two sides- goals on one side and a check mark on the other. It’s a great feeling to move one of those goals to the other side of the board! Happy goal setting & achieving in 2017!